Even though Amazon and others have made free shipping a hallmark of their business, a new study says online retailers are sick and tired of paying for shipping costs. Forrester Research on Tuesday released the findings of a survey it conducted for the US National Retail Federation claiming only 35 per cent of online retailers would boost expenditure on promotions like free shipping in the coming year to increase revenue. 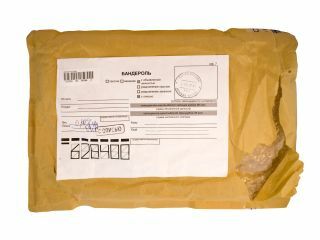 And although 35 per cent is still a fairly high number, the research firm said last year, 84 per cent of respondents engaged in some form of free shipping initiatives to jump start sales. Although no definitve reason was given for why most online retailers will no longer use free shipping as a means of increasing business, some did say that their operations have matured so rapidly in the past few years that the use of such a promotion is neither beneficial nor realistic in the world's slumping economy. Forrester did not say which firms it surveyed, but as shipping costs rise and online retailers find reason to make consumers pay for them, it will only be a matter of time before more major players fall in line and start charging.